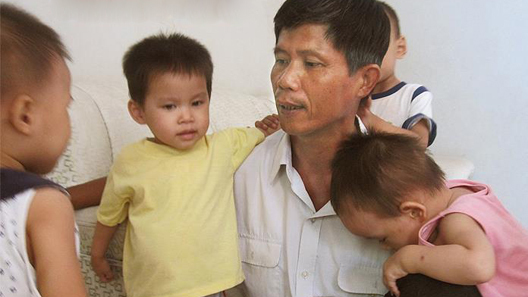 Tong Phuoc Phuc operates an orphanage in Nha Trang, central Viet Nam. He persuades expectant mothers from aborting with the promise of care and shelter. Operated as a sort of halfway house, unwed mothers living at the orphanage must care for the many young resident children until giving birth. Tong wishes to leave his mark both as an anti-abortionist and as a saviour to fallen women and their unwanted children. Praised by the country’s Prime Minister and the media, Tong’s popularity and motives are overshadowed by allegations of profiteering and child neglect. 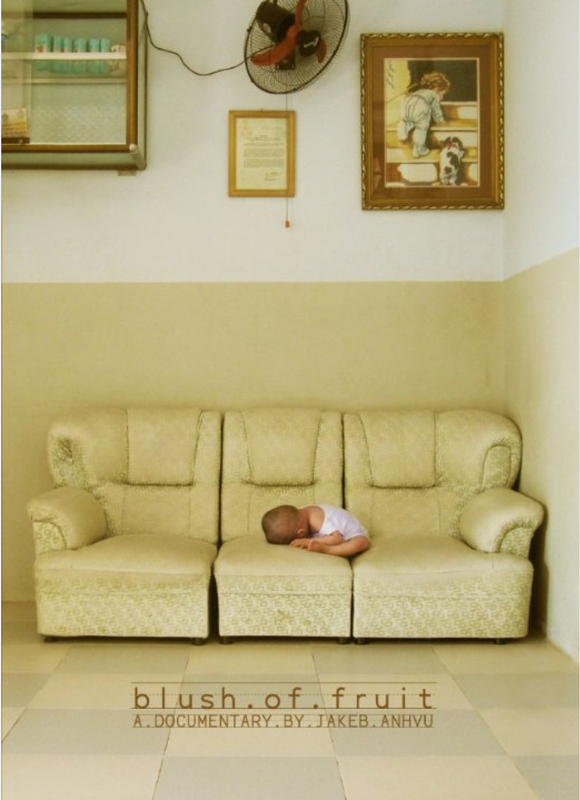 This fly on the wall documentary follows one man’s quest and the mothers who care for the orphaned children of Nha Trang. This entry was posted in Films and tagged AFTRS, Blush of Fruit, Jakeb Anhvu, Kim Nguyen, Masters in Scre, Nick Bolton, Tong Phuoc Phuc on February 19, 2014 by n1ch0la5b0lt0n. The Creative Industries Innovation Centre (CIIC), which is part of the Australian Government’s Enterprise Connect program, and hosted by the University of Technology, Sydney. The CIIC supports the business of creative enterprise by providing business advisory services nationally. The Creative Industries Innovation Centre (CIIC) has worked with over 1,500 creative enterprises since 2009. This has given us a unique vantage point to identify the strengths and opportunities as well as weaknesses and threats that are shaping their future. However, this sharp focus on individual businesses is not enough. We need to focus on the big picture – the sum of the parts – providing greater detail and analysis of the creative economy landscape. 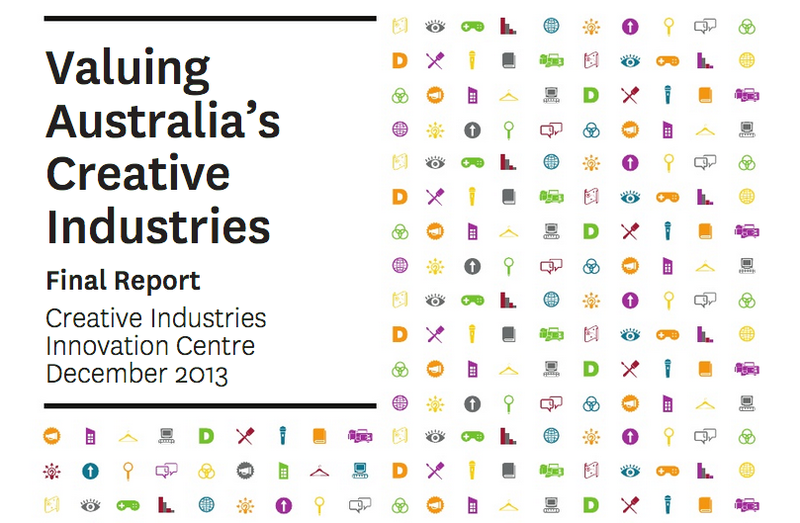 The CIIC thus commissioned the production of this report, Valuing Australia’s Creative Industries (2013). Learn more about the report here. The report validates and values the skills and capabilities of the creative industries in economic terms. It has the benefit of being internationally comparable, and clearly shows the increasing demand for creative skills sets across all industry sectors in our economy, as evidenced by the growing number of creatives employed within other industries. Explore the big picture data on these pages through a range of interactive and sharable visualisations – intended to highlight some of the report’s key findings. Download the full report, or view the press release. This entry was posted in Research and tagged Enterprise Connect, Masters in Screen Arts and Business, Nick Bolton, Sydney, The Art of Perseverance, The Creative Industries Innovation Centre, University of Technology, Valuing Australia’s Creative Industries (2013) on February 19, 2014 by n1ch0la5b0lt0n. Robert Evans’ The Kid Stays in the Picture is universally recognized as the greatest, most outrageous, and most unforgettable show business memoir ever written. The basis of an award-winning documentary film, it remains the gold standard of Hollywood storytelling. 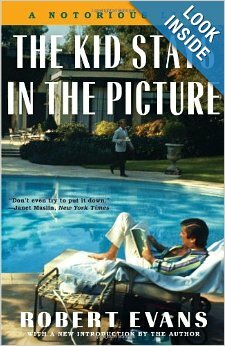 With black-and-white photographs from the author’s archive and a new introduction by the legendary actor, producer, and Hollywood studio chief Robert Evans, The Kid Stays in the Picture is driven by a voice as charming and irresistible as any great novel. An extraordinary raconteur, Evans spares no one, least of all himself. Filled with starring roles for everyone from Ava Gardner to Marlon Brando to Sharon Stone, The Kid Stays in the Picture: A Notorious Life is sharp, witty, and self-aggrandizing, and self-lacerating in equal measure. This is a must-read for fans of American cinema and classics of the canon, including The Odd Couple, Rosemary’s Baby, Love Story, The Godfather, and Chinatown. This entry was posted in Books and tagged Ava Gardner, Chinatown., Hollywood, Love Story, Marlon Brando, Masters in S, Robert Evans, Rosemary’s Baby, Sharon Stone, The Art of Perseverance, The Godfather, The Kid stays in the Picture, The Odd Couple on February 19, 2014 by n1ch0la5b0lt0n. Advance Australian Film is an exciting, informative investigation into the Australian Film industry. Independent filmmaker Courtney Dawson takes the viewer on an exploratory journey that chronicles the development and inner workings of Australian cinema. It’s been 20 years since an Australian film has reached number one at the yearly box office, and our films have consistently grossed under 5% of annual movie revenues for over a decade. Through in depth discussions with key industry figures and careful analysis of Australia’s past movie successes, Advance Australian Film explores the challenges facing the industry today, and ultimately seeks solutions for a brighter future. The documentary also examines the changes occurring across the world, with crowd-funding, social media marketing and alternative distribution models empowering filmmakers like never before and changing the way movies are being produced and accessed. This entry was posted in Films, Research, Video and tagged Advance Australian Film, AFTRS, Courtney Dawson, Masters in Screen Arts and Business, Nic, The Art of Perseverance on February 18, 2014 by n1ch0la5b0lt0n.